Srinagar: Former Jammu and Kashmir lawmaker Er Rasheed was on Saturday placed under house detention ahead of Prime Minister Narendra Modi’s visit to the state. 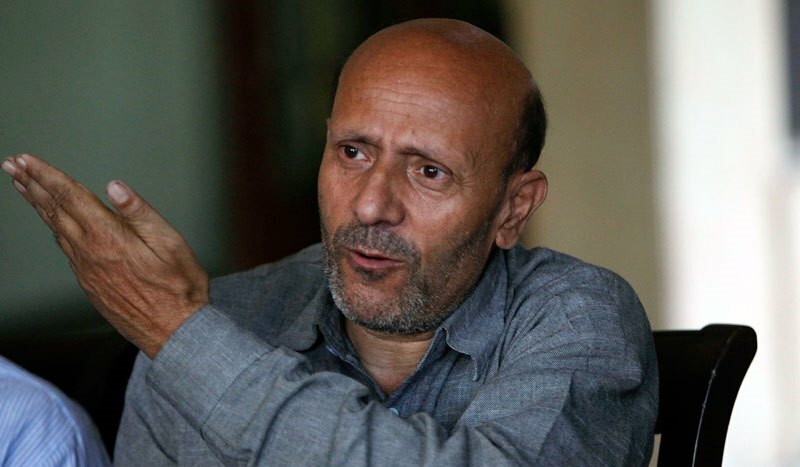 In a statement,a spokesperson of Rasheed’s Awami Ittehad Party, while condemning the house arrest of Rasheed by the police, said that by such cheap measures Delhi cannot hide its failures and mislead the world community over its atrocities on people of Jammu and Kashmir. The spokesman said that this morning a police party led by SDPO Saddar raided Er Rasheed’s residence and forced him to accompany police station Rajbagh but after Er Rasheed’s denial and heated arguments, police party left his residence and placed him under house detention. The spokesman added that AIP is committed to fighting for the rights of people of Jammu and Kashmir and by disallowing peaceful protest on eve of Prime Minister’s visit against looting resources of J&K, Governor Administration has yet again proved that fundamental rights of people of J&K have been snatched and suspended.